Situation: For many reasons, but most importantly, to begin our Parish's move forward towards Sacred Gregorian Chant . . . our Confirmation Program will teach "Veni Creator Spiritus" to our Confirmandi to be sung at their Rite of Confirmation.... Veni, Creator Spiritus, mentes tuorum visita, imple superna gratia quae tu creasti pectora. Qui diceris Paraclitus, altissimi donum Dei, fons vivus, ignis, caritas, et spiritalis unctio. Veni, Creator Spiritus, mentes tuorum visita, imple superna gratia quae tu creasti pectora. Qui diceris Paraclitus, altissimi donum Dei, fons vivus, ignis, caritas, et spiritalis unctio.... VENI SANCTE SPIRITUS. 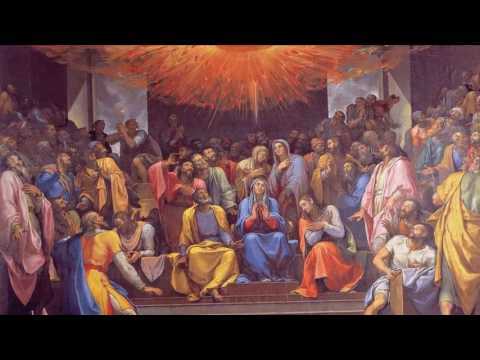 The hymn Veni Sancte Spiritus (as it is known from its title in Latin) is read or sung at Pentecost. This beautiful tribute to the Holy Spirit is said to have been written by Stephen Langton, the archbishop of Canterbury around the year 1200. I am looking for a version of Veni Veni Emmanual that has all the verses lined up under the notes. 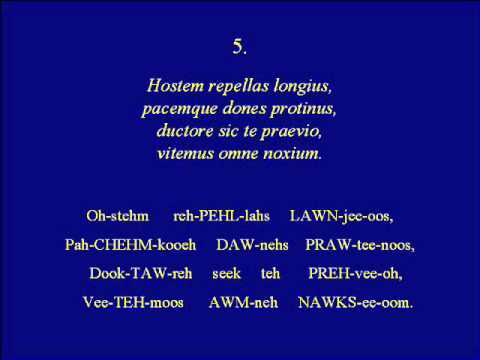 The Parish Book of Chant has Veni Veni, but only one versus under the chant notation. as i walked out one evening pdf This is a famous Catholic Gregorian chant hymn, actually the Vespers hymn for the feast of Pentecost. This is not to be confused with another of the Church's beautiful chants, Veni Sancte Spiritus , which is the Sequence of Pentecost.